The book “Courage to Live” helped Carol Graham deal with her own suicidal thoughts after Jeffrey, left, was killed in combat in Iraq and Kevin took his life at age 21. If you need (or someone you know needs) help, Mark and Carol Graham highly recommend these resources. Words Can Work, DVDs and booklets address topics ranging from underage drinking and bullying to depression and sexual health. View excerpts. These resources are viewed and discussed by young people and by adults in health and wellness programs internationally in schools, parenting and healthcare organizations, and corporations. Suicide Prevention Partnership - Pikes Peak Region-When it hurts to live, It helps to talk. Give An Hour - A nonprofit organization providing free mental health services to U.S. military personnel and families affected by current conflicts in Iraq and Afghanistan. Tragedy Assistance Program for Survivors (TAPS)TAPS welcomes anyone who is grieving the death of someone who died while serving in the military - regardless of where they died or how they died. Talk with someone on our survivor care team by calling 1.800.959.TAPS any time of day 365 days a year. 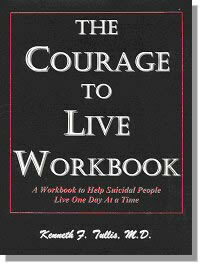 - Warning Signs, Risk Factors, Psychiatric Disorders, Know the Facts; Many resources for survivors. Words Can Work produces and distributes DVDs and Words Can Work booklets for young people, parents, and other caregivers, about the public and mental health challenges kids face growing up. Please also visit the "Military Page" for uniformed service related resources.